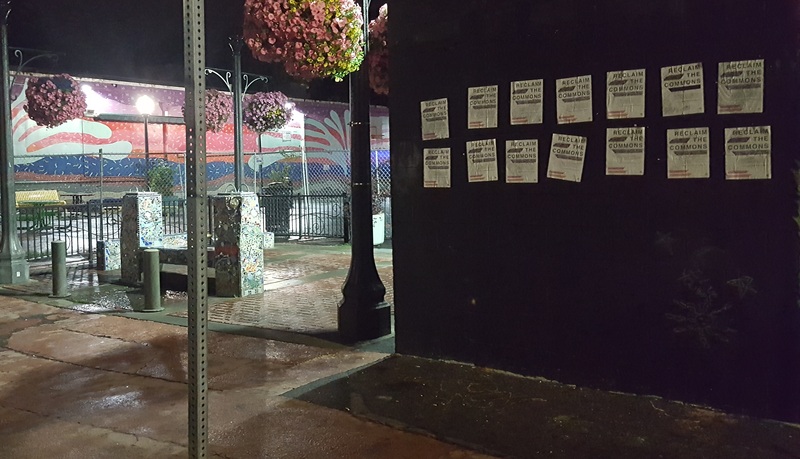 Report from Olympia on recent attempts by local politicians to push out the homeless and how some residents are fighting back. For the last week, the City of Olympia has been escalating the war on those without traditional shelter. After declaring homelessness in the city a public health emergency and stopping the eviction of an encampment there seemed to be hope that the city may actually begin to treat people living on the streets like people and not pests. But on August 24th, the city took two steps escalating tensions. First, the city began enforcing its “no sit/no lie” ordinance more thoroughly after stopping much of its enforcement this summer. This law bars sitting or lying down anywhere within the downtown area on public sidewalks or in alleys from 7-12 AM. There have already been multiple arrests connected to this law since enforcement was escalated a few days before the 24th. 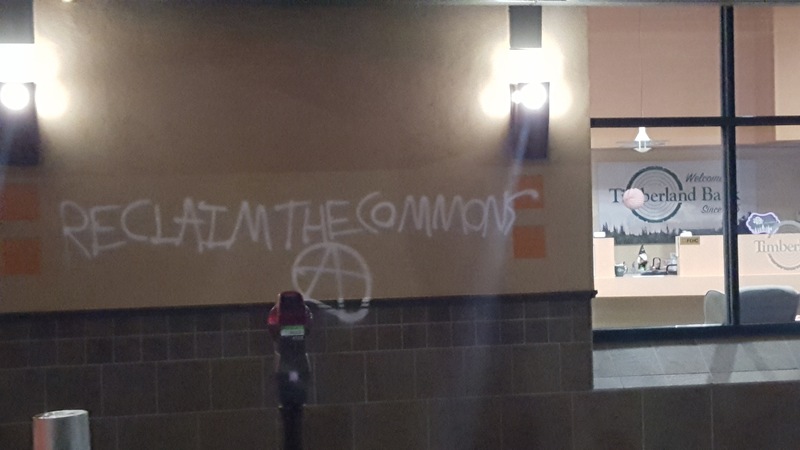 “Save the Commons” graffiti seen in the Downtown. 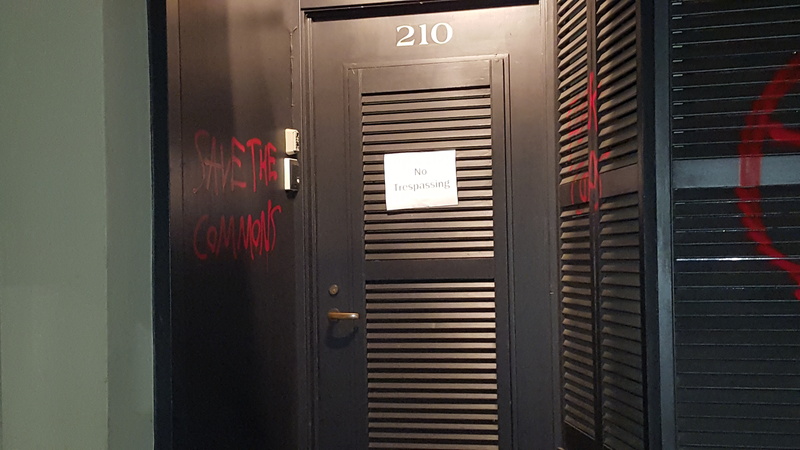 Secondly, the closure of the Artesian Commons marks a new level of hate and disregard from the city. This park has free well water, a 24 hour bathroom, and is close to the many services offered downtown that people need to survive. 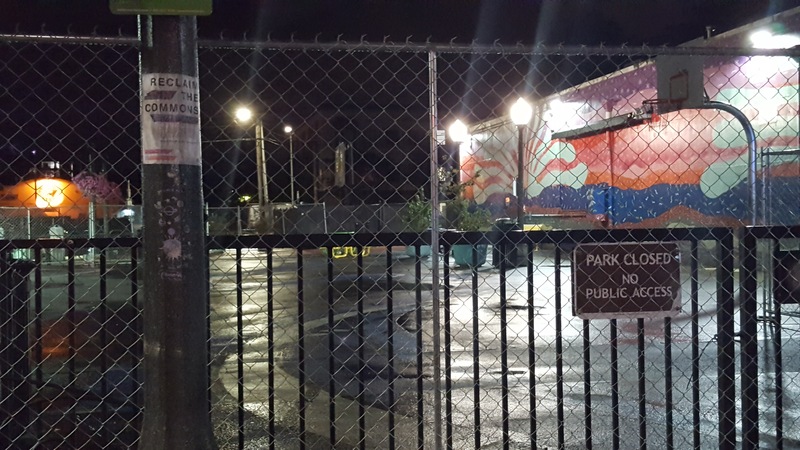 The park was closed suddenly and without much warning with the installation of a 6 foot fence around the park. 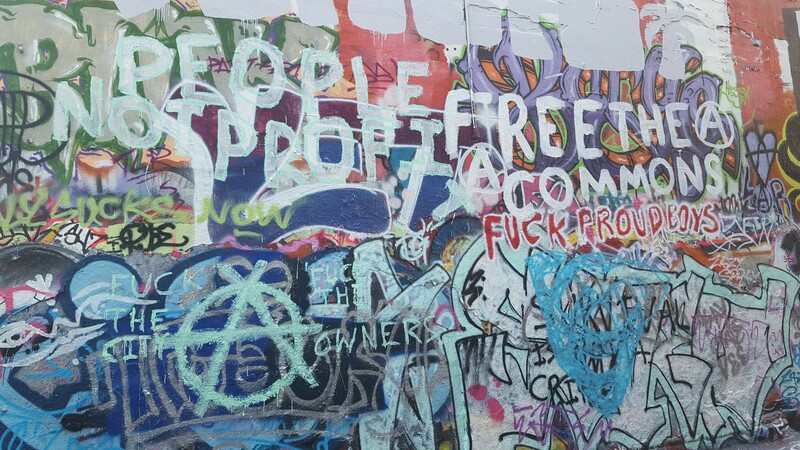 This action has taken away the last safe place for many people (including many minors, pregnant women, disabled folks, elderly folks, and other vulnerable people) to exist in during the day without fear of extreme police harassment for actions such as sitting, congregating, and using cannabis. Now, the houseless community is more fragmented and vulnerable. And as a result of this, the police have taken the opportunity to escalate harassment and arrests downtown as people search for new safe places to congregate and/or rest. There is also information coming out of the county jail that 120 new beds are being added. In combination with the further criminalization of houslessness, this points toward the city planning a mass roundup of houseless folks. There are no City Council meetings until September 11th. The decisions will only be reviewed then, so the current disarray caused by them is going to last until then if not longer. 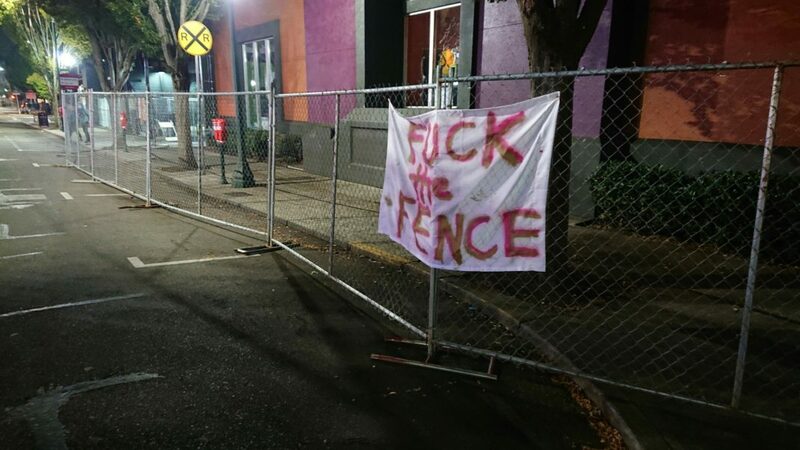 For many radicals and activists, housed and unhoused, this has proven to be a breaking point. 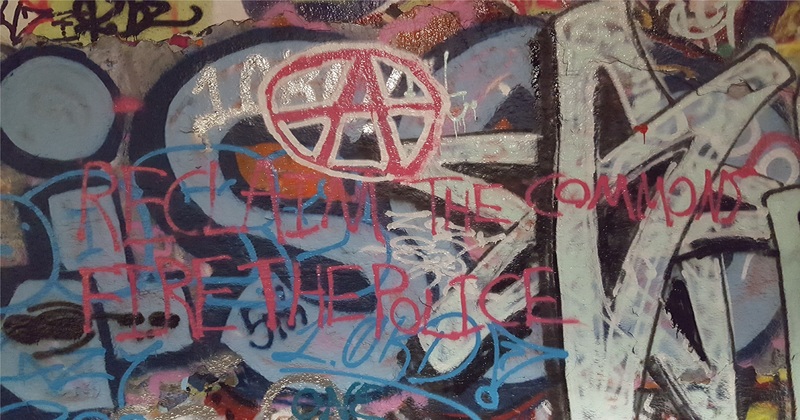 Community responses documented in the downtown have included graffiti, wheatpasting, banner drops, and an increased presence of cop watchers on the streets. There is currently a massive turnout to the 9/11 city council meeting being coordinated by houseless folks, multiple non-profits, and housed radicals. Already, bonds are being formed and strengthened between those unhoused and housed in a budding support and mutual aid network. These hostile attacks by the city will not stand and actions will be taken until they reverse them.